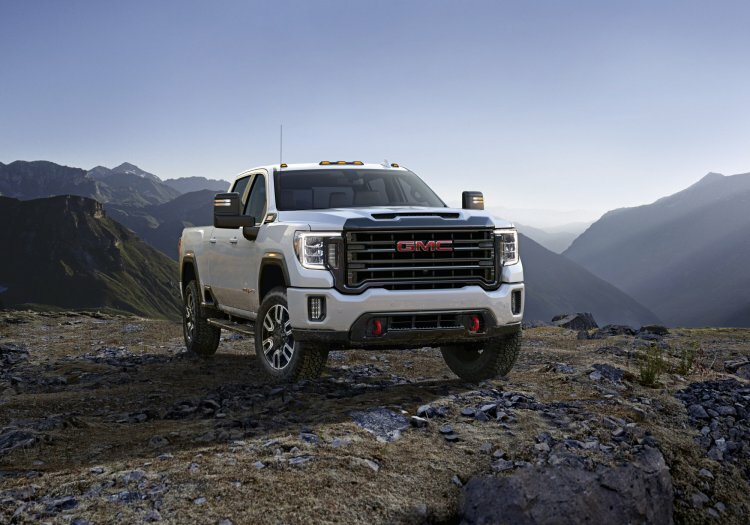 If you have not started with our prior story today on the all-new 2020 Sierra HD it may make sense to do so. 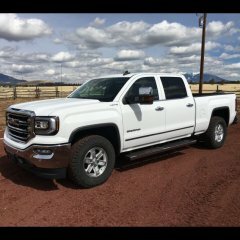 This post picks up from there and highlights just the AT4 trim line of the new Sierra HD. 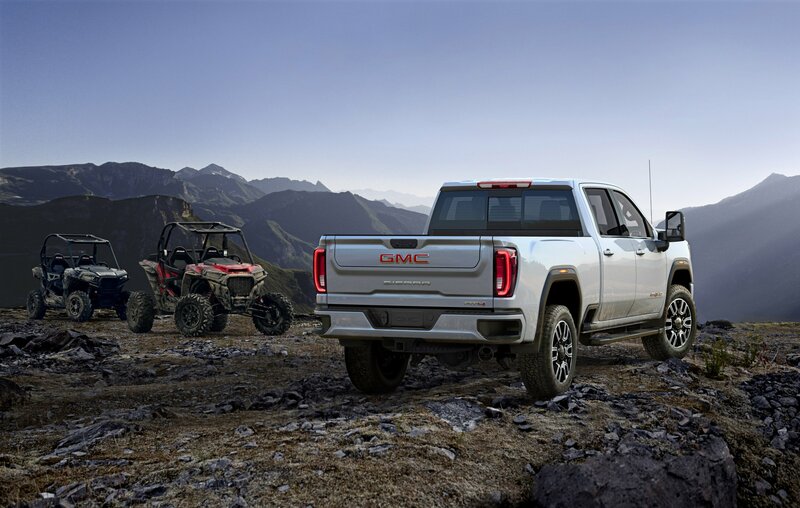 The all-new 2020 Sierra Heavy Duty AT4 expands on the GMC AT4's reach with a distinctive off-road identity for the new Sierra HD. Distinguished in its dark chrome exterior finishes and front and rear bumpers and a grille surround finished in body color, the AT4 has its own style. The grille design is also bolder than on the other HD trims, and is finished in black chrome and set off by the AT4's distinctive red vertical recovery hooks. The interior continues the AT4-specific darkened trim, including dark-tinted and textured aluminum finishes on the steering wheel, center stack and sill plates, as well as a unique Jet Black interior with Kalahari color accents in the seats and live stitching. AT4's leather seating has mini-perforated inserts and embroidered AT4 badging on the headrests, along with standard all-weather floor liners. Nicest looking HD truck on the market right now imo, the Fords lol i don't care what they can do when it has a face so ugly you would have to drive the thing backwards to not be embarrassed. The Dodge is blah, the Silverado is as ugly as the Ford and kind of look alike, so clearly GMC wins this segment hands down in my book. Only thing i don't care much for are the marker lights above the wheel wells but certainly not a deal breaker. And god dammit i wish gm would go back to Bilstein shocks and toss these rubbish Ranchos! YUP! This thing is the CHIT! Starting at a cool house mortgage price of atleast $75,000 I bet lol. Yep ... and the minute it's out of warranty, have fun when all those electronic goodies fail. I'd be willing to bet every module in that thing is over 4 figures ... and made in Thailand. Looks really nice. Probobly not affordable.. Maybe if you are in sales and get a company stipend for payments. Looking at the dash board again, I don't know what all the fuss is about. It looks clean, organized and calm. 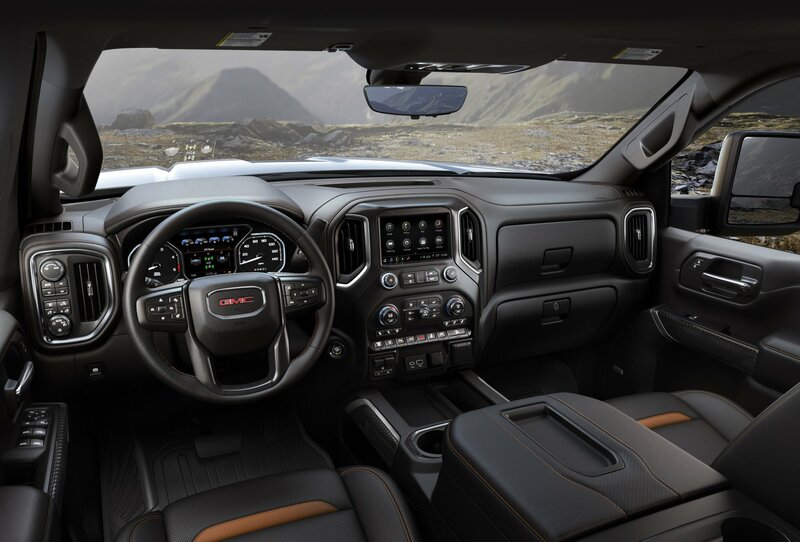 I said it somewhere else already, the more I look at the 12" screen in the RAM the more it looks out of place. Very Nice. Maybe I will have to give my Base CCLB to the workers and upgrade to a AT4 HD. 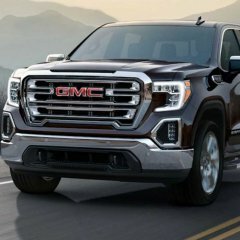 Although it killed me to fork over $50k CAD for my current 2018 2500, this in a Diesel will likely run $85,000 CAD before taxes and the $2k they want for delivery these days. 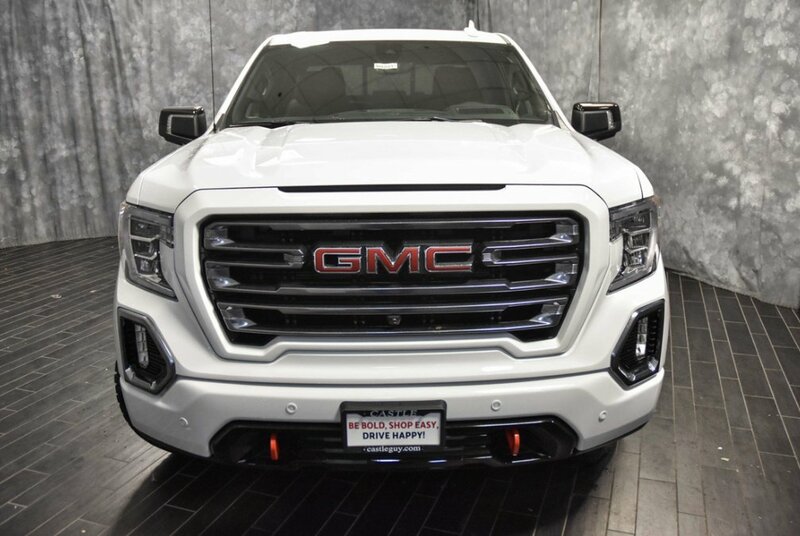 Amazing truck, but don't think I will be kicking your door down to get at one anytime soon GM. Maybe when your pricing comes back down to earth. Is it just me or do others see a bunch of Ram characteristics? Especially the grill. 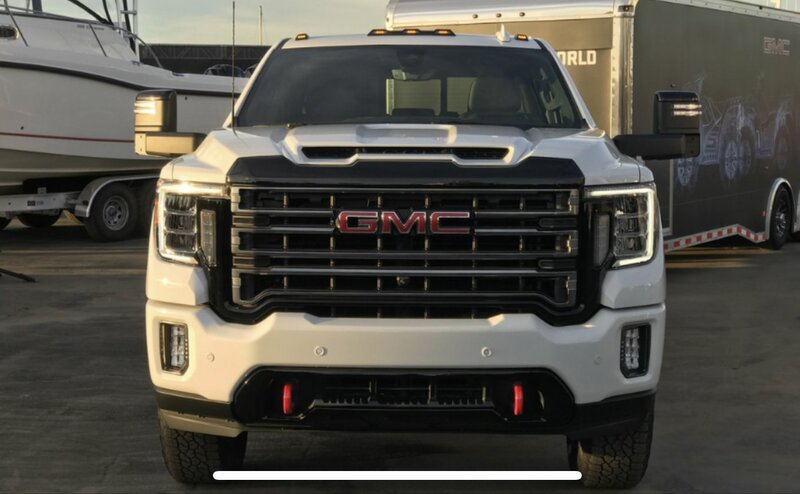 Is it just me or would the grill surround look better in white (body color) instead of the black? Kinda like the 1500. In my mind it does. Someone should photoshop that. I have a Trail Boss LT that I will be installing a Motofab 1.5" leveling kit in. I have been doing all kinds of research on what size Nitto Ridge Grapplers I want to put on my 20" Fuel Maverick rims with a +1 offset. Mainly been looking at the 295/60r20 (33.93x11.77) and the 305/55r20 (33.23x12.44). I like the width of the 305/55 but wish it had the height of the 295/60. 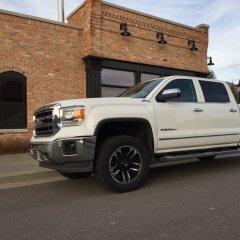 Was curious if any other trail boss owners had some pictures they'd want to share of their aftermarket tire setups.These trucks are BIG and IMO the stock tires look too small on them. Trying to fill out the wheel well as mush as possible without rubbing too bad. Not opposed to trimming some liner, but no metal. Thanks guys!